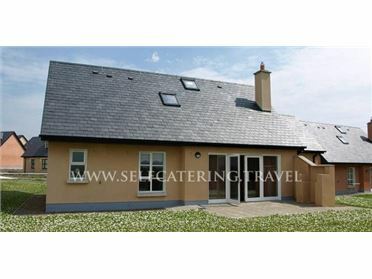 Cregan Cottage is a charming single storey cottage in Drumagh, near Swinford. The cottage has two double bedrooms and a single bedroom. There is a family bathroom, and a WC in the external utility room. The living area is open plan, with a kitchen, dining area and sitting area with solid-fuel stove. Outside is off road parking for four cars, and attractive gardens including lawn, patio, water feature, herb garden and fruit trees. Cregan Cottage makes a very welcoming base for enjoying fishing, walking, Irish music and the coast.